Dessert. Dance moves. Vocal stylings. 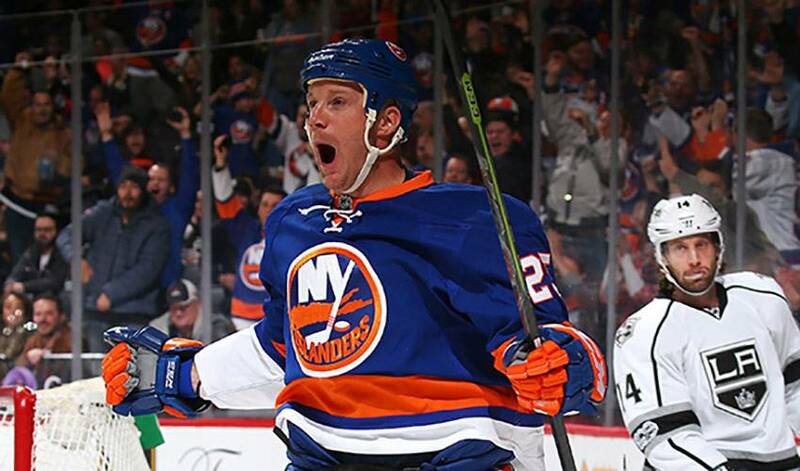 According to his New York Islanders teammates, those are just some of the extras Jason Chimera, closing in on 1,000 NHL games, brings to the team. Slated to skate in his milestone 1,000th regular season contest on February 3, Chimera has plenty of great on-ice attributes, a list that includes top-notch speed, excellent forechecking and penalty-kill skills, along with some offensive pop. Ask some of those who know him best as to what makes the 37-year-old an ideal teammate, and the responses aren’t quite what you’d expect. It turns out the New York Islanders left-winger has quite an affinity for a particular dessert – one that would make Homer Simpson proud. It's a passion that has put him in good stead with those he shares a dressing room with. “He's a donut aficionado, so he gets a lot of bonus points for bringing donuts in,” noted teammate Brock Nelson. While he might satiate the sweet tooth of his fellow Isles, the forward is also revered for what he brings to the ice, namely, veteran savvy and a team-first attitude. Versatility is a term often associated with Chimera, who will play his milestone game on the road against the Detroit Red Wings. Just don’t expect the Edmonton native to display such versatility in front of the microphone or at a club. It’s a common theme when discussing Chimera. “He thinks he’s the best singer and he loves to entertain,” shared defenceman Dennis Seidenberg. "He's a great teammate because he always comes to the rink to work hard and has fun," added Johnny Boychuk. "Also, he could be in the next boy band." While the critiques might be up for debate, those he shares the same jersey with sing his praises. Nelson had similar kind words for Chimera. He also knows a thing or two about the right type of donuts to bring to the rink. No word yet, however, if Chimera has any special ones planned for the night of February 3.